BINASCO, Milan, Italy — A place of meetings, education and creation for coffee specialists and coffee lovers. 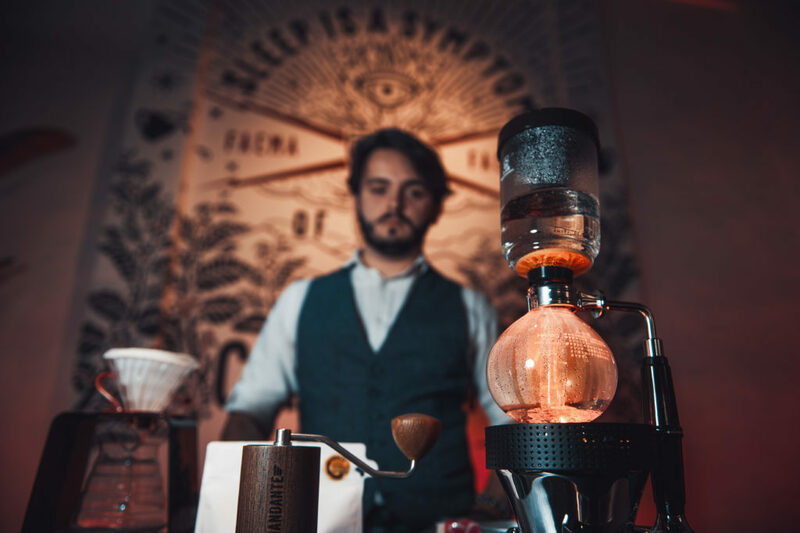 An international sales & marketing platform at the service of the brand for the presentation of new models, dialogue with the sales network, and professional refresh opportunities, but also available to coffee-roasting companies that can now make their coffees more widely known. 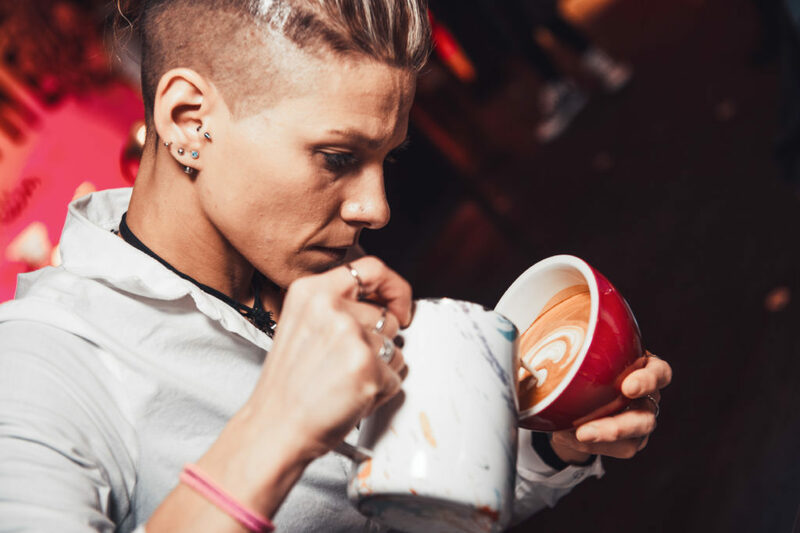 An open area in the throbbing heart of Milan, where you’re invited to learn more about the most appealing daily ritual – cup after cup, blend after blend. 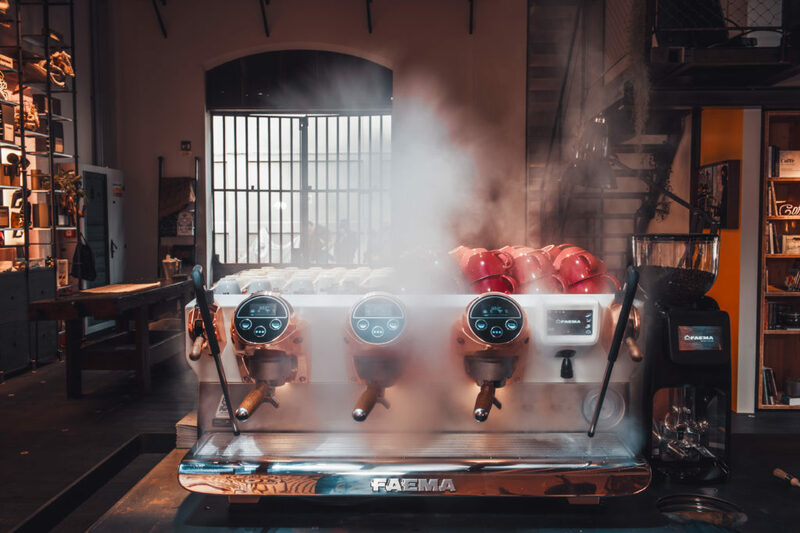 This is “Art & Caffeine”, the first Flagship of Faema – the legendary brand of professional espresso coffee machines and one of the world’s leading “Made in Italy” ambassadors. 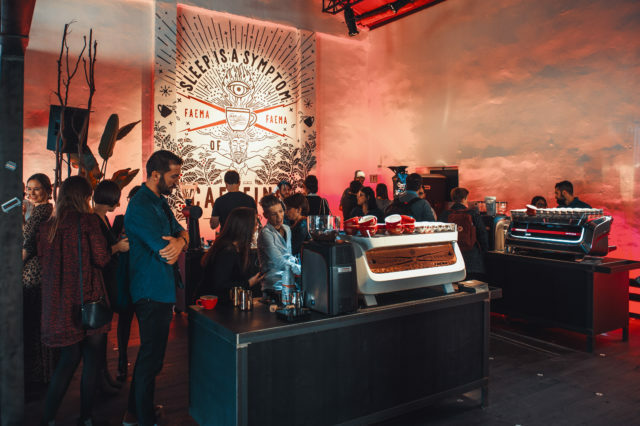 It opened on October 23rd evening in Milan, in Via Forcella 7, with a lively party for more than 250 guests including baristas, coffee-roasting companies, professionals and customers from all over the world. The Flagship, the first in the history of the Gruppo Cimbali brand going back more than 70 years, is aimed primarily at baristas and those working in the world of coffee, but will also be open to the public during the big events that turn Milan into the capital of design (Design Week), food (Food Week) and fashion (Fashion Week) every year, not to mention the other important initiatives scheduled to take place in the city. The initiatives that will take place at “Art & Caffeine” include master classes by some of the most renowned coffee gurus, competitions of latte art, Aeropress and Coffee in Good Spirits (amongst the disciplines currently in the limelight), and days dedicated to coffee-roasting, with a special focus on the micro roasters who will be able to test and explain specific single-origin blends and various extraction techniques, from espresso to Aeropress, Kemex, V60 and Cold Brew. As always, considerable space is given over to culture and professional development, with training sessions on the machines and a wide range of courses organised by MUMAC Academy – Gruppo Cimbali’s Academy of Coffee-Making Machines, a training pole with SCA Premium Campus certification – with a team of trainers and Q Graders leading a complete selection of certified training opportunities. There’ll be numerous resident trainers lined up right from the very first weeks. In the 160+ sq.m of the Flagship, visitors will also be able to try out the Faema E71 range and, in particular, Faema E71 E – the new yet traditional machine designed by Giugiaro Design, that enhances the manual ability and experience of the barista in the preparation of espresso coffee and milk-based drinks. 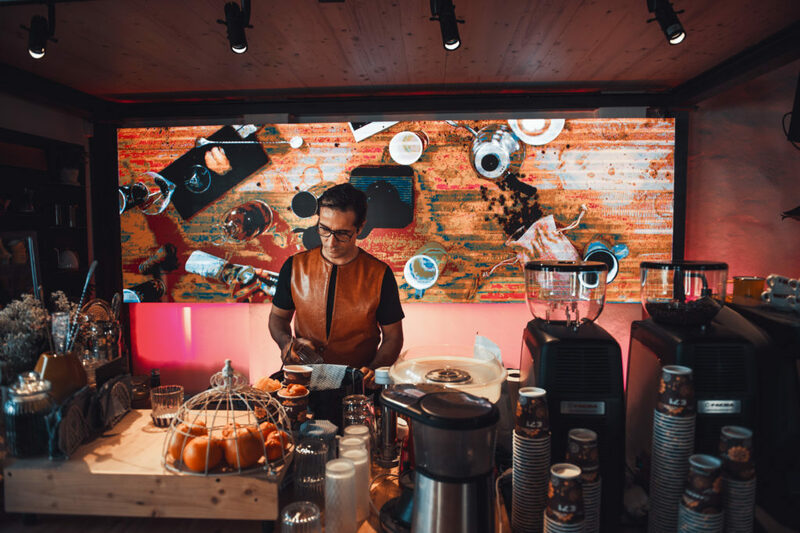 There’s also a dedicated laboratory for the personalisation of the machines (especially Faema E71E), from the colour of the panelling to the filter-holders and steam wands; machines increasingly seen not just as mere work tools but as an expression of the barista and an integral part of the premises and their identity. 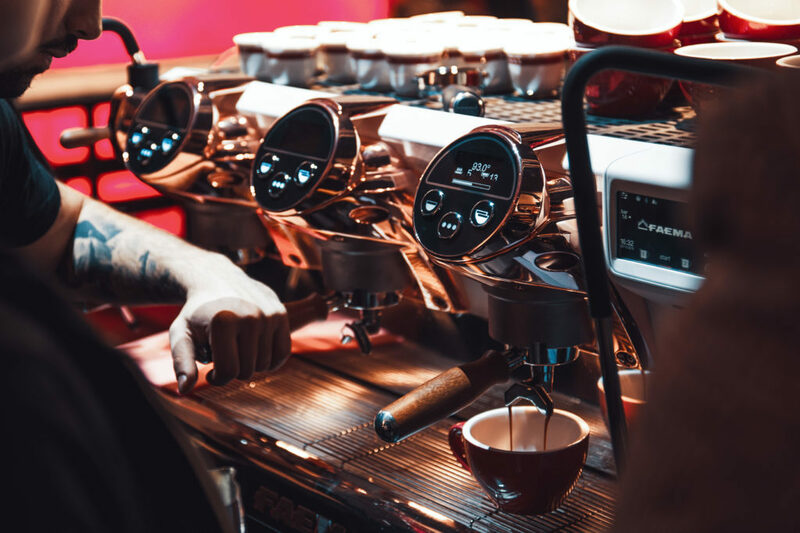 With a long history and a great tradition that has often led the way in the design, manufacture and distribution of professional espresso coffee machines, FAEMA is the best interpreter of master coffee, highlighting the barista’s skill and passion and ensuring the perfect extraction of the best coffees. 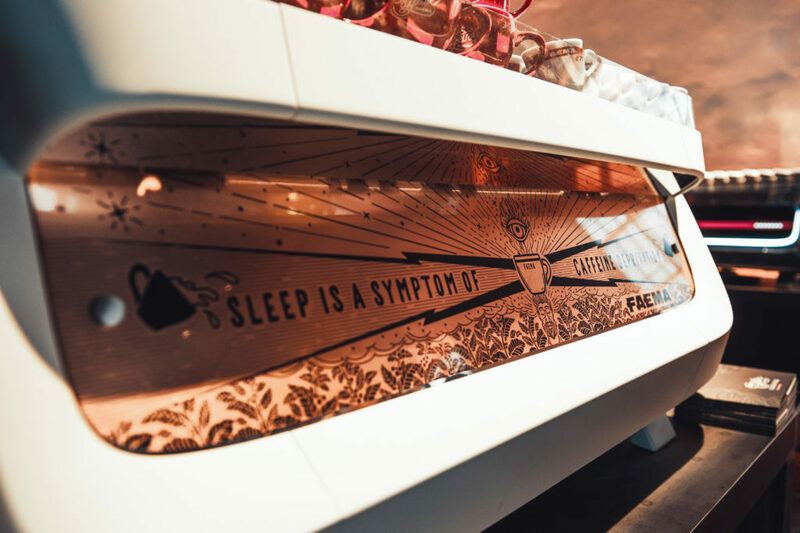 The brand is part of Gruppo Cimbali, a world leader in the design and manufacture of professional machines for coffee and drinks using fresh milk, along with equipment dedicated to the cafeteria. Its headquarters are in Binasco, on the outskirts of Milan. Gruppo Cimbali has 3 production sites in Italy – Binasco (Milan), Cappella Cantone (Bergamo) and Cremona – and 9 branches (7 of them abroad), employing a total of around 700 people and generating a turnover that reached 180 million Euros in 2017. The group’s commitment to spreading the espresso coffee culture and accentuating its Italian nature led it to set up MUMAC – the Museum of the Coffee-Making Machine – in 2012: the largest permanent exhibition dedicated to the history, world and culture of one of the most quintessential Italian products.